Last Day To Subscribe SIS IPO: Should You Invest? Security and Intelligence Services (India) limited (SIS), India's second biggest security services provider in cash logistic segment, launched a Rs 780 crore initial public offer (IPO) of its shares on Monday. 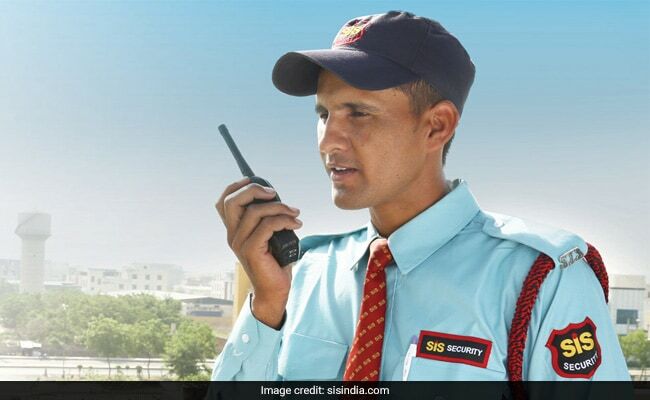 SIS is the second largest security services provider in India according to revenue. Security and Intelligence Services (India) limited (SIS), India's second biggest security services provider in cash logistic segment, launched a Rs 780 crore initial public offer (IPO) of its shares on Monday (July 31, 2017). SIS has priced the issue in a band of Rs 805-Rs 815 and targets to raise fresh capital of Rs 362 crore through this IPO. The IPO, which closes on August 2, 2017 (Wednesday), is a mix of both fresh issue and offer for sale by existing investors. Post this IPO, its paid up equity capital will rise to Rs 73 crore. The IPO was subscribed 6.94 times on the last day of the sale on Wednesday. 1) Through this IPO, promoters of Security and Intelligence Services (SIS) are offloading 11.7 per cent stake in the company. Post this IPO, promoter stake will come down to 65.2 per cent from 76.9 per cent now. SIS intends to pay off loans worth Rs 200 crore using the proceeds of this IPO while Rs 60 crore will be used to fund its working capital requirements. The remaining will be used for general corporate purposes, the company said. 2) Incorporated in 1985, Security and Intelligence Services is the second largest security services provider in India according to revenue (March 31, 2016). Other than cash logistics and security services, the company also offers, manned guarding, electronic security and facility management services, such as mechanized cleaning and pest and termite control services. SIS's wholly-owned subsidiary, MSS Security Pty. is one of the largest security services provider in Australia. 3) SIS's customer segments range across a variety of sectors including banking and financial services, IT/ITeS, hospitality and real estate with no specific sector contributing more than 15 per cent of its revenue. SIS's multiple service offerings allow it to drive operational efficiencies by centralizing key functions. 4) Security and Intelligence Services reported a net profit of Rs 91 crore on revenues of Rs 4,567 crore for the FY2016-17. Its revenue has grown at a CAGR of 14.6 per cent, while its net profit has witnessed a CAGR of 12.4 per cent over last four years (from FY2012-13 to FY2016-17). While continuing to maintain organic growth momentum, SIS also intends to explore inorganic expansion as well. In August 2016, it acquired 79 per cent stake in Dusters Total Solutions Services Private Limited. On July 1, 2017, it acquired 51 per cent stake in Andwills Pty Limited, the holding company of Southern Cross Protection Pty through its 100 per cent subsidiary, SIS Australia. 5) At the upper price band of Rs 815, SIS issue is priced at 61 times FY17 earnings per share (EPS), which is at 36 per cent discount to Quess Corp, said domestic brokerage Angel Broking. "SIS's valuation looks attractive compared to Quess Corp's valuation of 13.1x P/BV, 50.4x EV/EBITDA. Hence, we recommend SUBSCRIBE rating on the issue," the brokerage said. Motilal Oswal also has a "Subscribe" rating on the issue. "We believe premium valuation is justified in context of leadership positioning in industry and robust business model," the brokerage said. Changes in regulatory requirement and any possible adverse decision against the company in any of the pending cases are key risks in the business of the company, brokerages say.